Welcome to another Coffee Break! We’re brainstorming creative prompt ideas and would love to hear yours.We’re excited about a new project that’s brewing and would love your thoughts, input, and ideas. Between January-March we hosted three creative challenges that have been a hit in the iCreateDaily community. 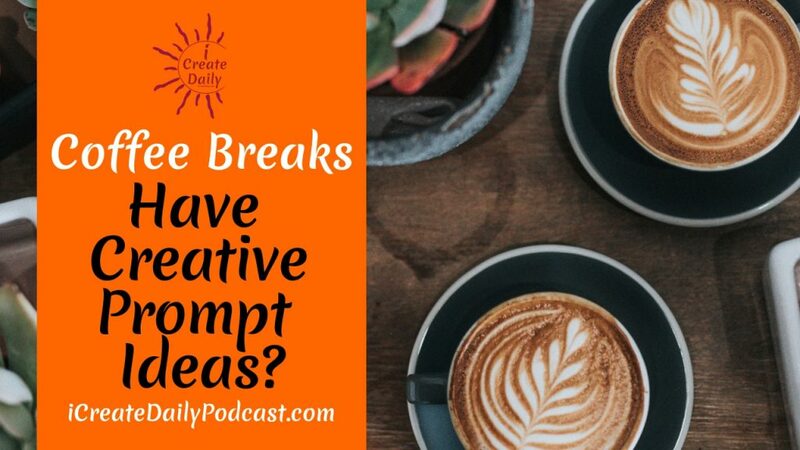 Even though we’re not going to have a challenge every month, we would like to keep the moment going, so that’s what we talk about in this short coffee break podcast.